Pointe Tarpon Luxury Town Home Community located directly on the Gulf of Mexico! This amazing Town home offers 3 bedrooms & 2.5 baths with a 4 car garage! Live on the Gulf and enjoy gorgeous sunsets daily for under $375,000! Corner/end unit has windows on 3 sides, so this unit is bright all day long. Solid Pecan wood floors, wide 10 crown molding throughout. This Town home offers 12' Ceilings. On the living level, there is a wall of 4 sliders leading out to your large balcony to enjoy the sunsets and serene views. Additional features include: Living area that steps out to a large balcony with gulf breezes!! The Master bedroom suite has double entry doors, double sink vanity, whirlpool tub and walk in shower. Walk out to your private balcony. Spacious living room and dining room. Inviting pool and spa overlooking the Gulf of Mexico. 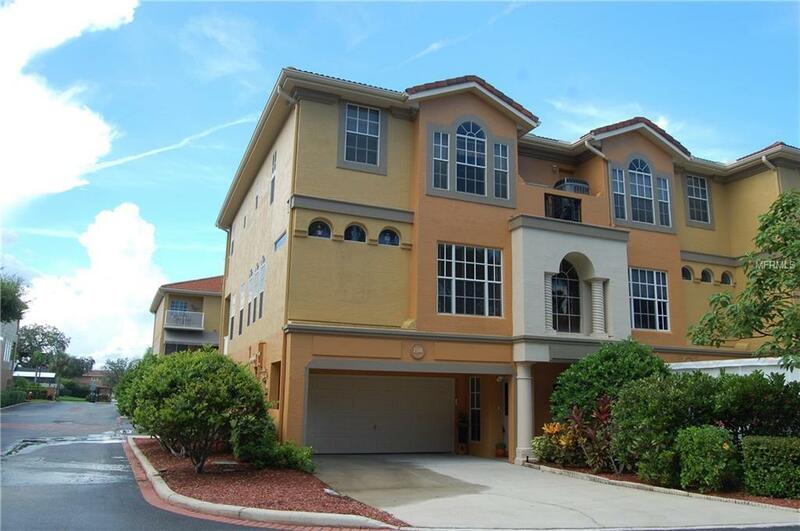 Schedule a viewing for this townhome nestled in a gated waterfront community! Monthly Fee covers so much... Building Insurance, Flood Insurance, Roof, Exterior Building, Trash, Water/Sewer, Lawn, Basic Cable, Reserves. Truly maintenance Free living! Close to Quaint down town Tarpon Springs, famous sponge docks, Boating, fishing, beaches, shopping, and dining. 1 mile to the Pinellas Trail. The community has strong reserves. There is no boat slip with this townhome. Currently there are no slips available to rent or buy. Listing provided courtesy of Bay Harbour Properties.